This side is a coleslaw with vinegar dressing that I saw over at Serious Eats. 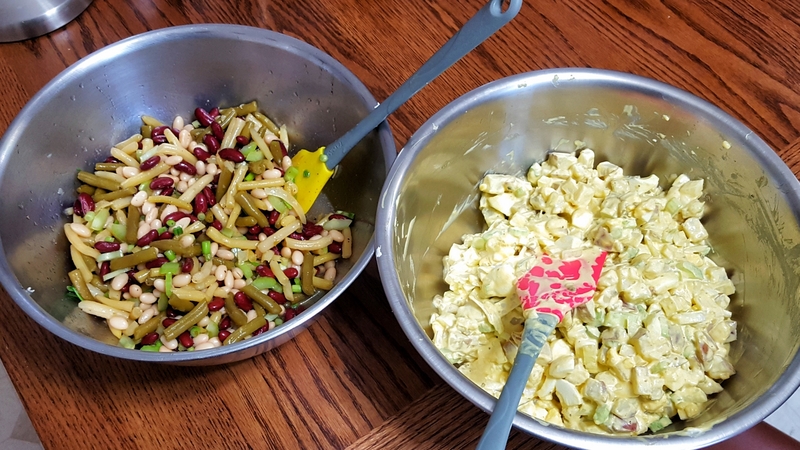 First, you slice the cabbage and onions and grate the carrots plus whatever else sounds good to you – I like to slice colored sweet peppers – a few jalapenos work well, too. Then, with all of that in a big bowl you sprinkle salt and sugar over it and work it in a bit. That’s where we are in the photo above. This helps to wilt and soften the cabbage. After a few minutes rinse the salt and sugar off. I use a colander within a bowl, run water over the slaw until the slaw floats then stir it about and lift the colander out of the bowl. 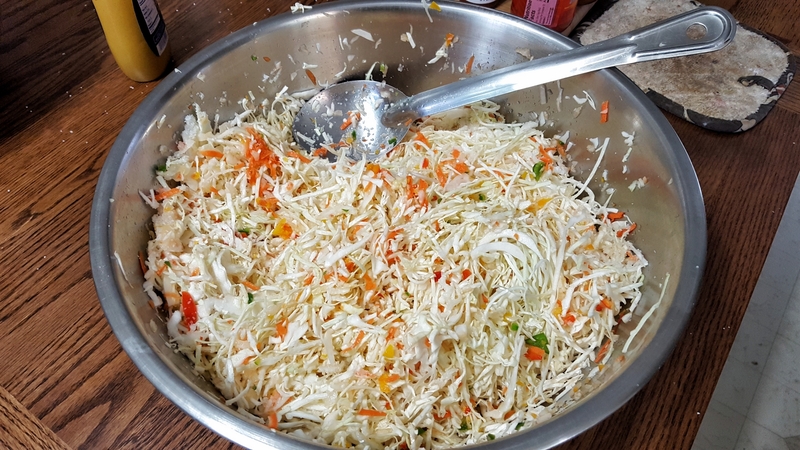 I liked this slaw so much I bought a salad spinner to help drain the water off after the rinse. 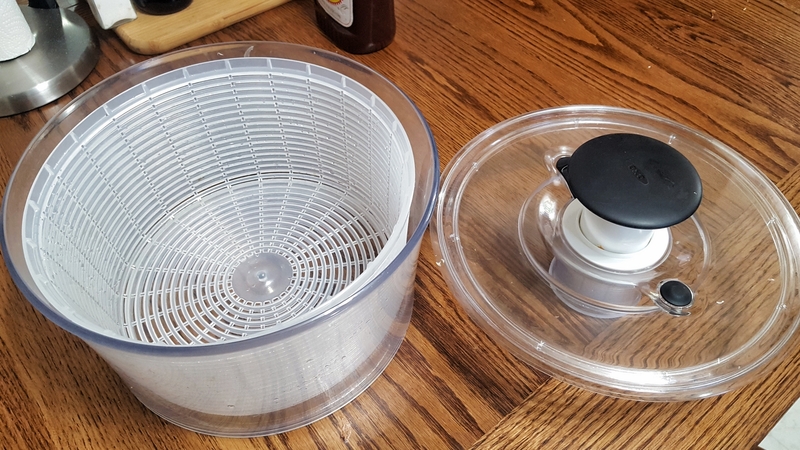 This one is an Oxo and seems to be pretty sturdy. There are other ways to dry the slaw, like draining on a tilted tray or squeezing it out in a towel. The linked recipe calls for garbanzo beans but I didn’t have any so I subbed in a can of Great Northern beans. It also gets chopped celery and chopped green onions – chopped red onions are an option that also adds color.